Taxonomists classify organisms according to their similarities and differences. The fundamental unit of classification is the species. Unfortunately, it is difficult to define species. According to a biological definition, a species is a group of populations in which genes are actually, or potentially, exchanged through interbreeding. This definition has certain problems. Taxonomists often work with. morphological characteristics. The morphological and ecological information provide reproductive criterions. Some organisms do not reproduce sexually. Therefore, other criteria are applied in these cases. There are also problems of fossil material. Paleontologists describe species of extinct organisms. But they cannot test their reproductive criterion. gene exchange is geographically impossible. The biologists can transplant individuals to test a reproductive criterion. Mating may take place in transplanted individuals. But it does not prove that mating can also occur in natural setting. The biologists are trying to understand the problems associated with the biological definition. The taxonomists use morphological, physiological, mbryological, behavioral, molecular, and ecological criteria for describing species. They realized that all of these have a genetic basis. rhe formation of new species is called ,speciation. The subpopulations are prevented from breeding. This is called reproductive isolation Natural selection Ind genetic drift act on reproductively isolated populations. Therefore, the revolution takes a different course in these subpopulations. Reproductive isolation can occur in different ways. Impenetrable barriers like rivers or mountain ranges separate sub populations. Sometimes, courtship behavior patterns of two animals are not mutually appropriate. Therefore, mating does not occur. There are different conditions in the reproductive tract of a female. It may not support the sperm of another individual. So fertilization does not take. place successfully. Sometimes, hybrids are sterile. 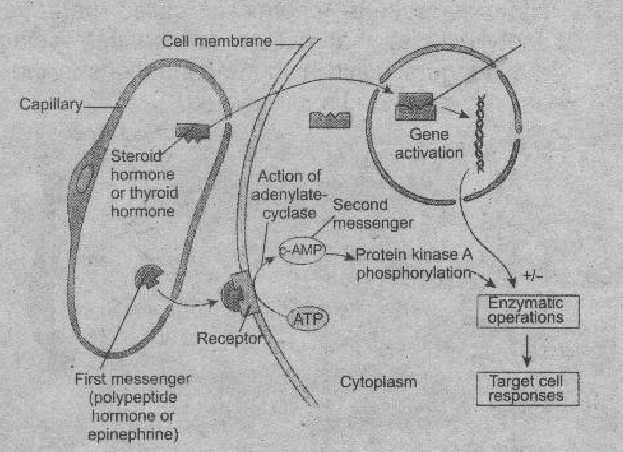 Therefore, postmating isolation occurs. For example, mule is produced by the mating of a male donkey and a mare. Mule is a sterile hybrid. Mismatched chromosomes cannot synapse properly during meiosis. Thus any gametes produced are not viable. Sometimes, the development of fertilized egg or embryo is failed. It is also a post mating isolation. The speciation occurs when sub populations become geographically isolated from one another is called allopatric speciation. For example, a mountain range or river permanently separate members of a population. A aptations for different environments or neutral selection take place in these s parate populations. The members of this population cannot reproduce successfully with each other. Many biologists believe that allopatric speciation is the most common kind of speciation. The Darwinian finches on the Galapagos Islands are example of allopatric speciation and adaptive radiation. A number of new forms diverge from an ancestral form during adaptive radiation. These adaptations occur in response to the opening of major new habitats. Fourteen species of finches evolved from the original finches in the Galapagos Islands. Ancestral finches emigrated from the mainland. They were distributed among a few of the islands of the Galapagos. Their populations became isolated o various islands overtime. The original population displayed some genetic on variation. More variation arises in these ancestral populations. The original finches were seed eaten. They arrived in islands of Galapagos. They filled their habitat rapidly. Variations occur within original finch population. So some birds started exploiting new islands and habitats. Mutation changed the genetic composition of the isolated finch populations. It introduced further variations. Natural selection favored some variations. These variations promoted successful reproduction. The combined forces of isolation, mutation, and natural selection developed m my adaptations in these finches. These adaptations allowed the finches to diverge into a_number of species. These species have specialized feeding habits. Si of the 14 species of finches have beaks specialized for crushing of seeds of different sizes. Others finches feed on flowers of the prickly cactus. Some other feed on forests on insects and fruit. The speciation occurs in small local population called demes is called parapatric speciation. Deme is a small and local population. For example, all of the frogs in a particular pond or all of the sea urchins in a particular tide pool make up a deme. Individuals of on deme are more likely to breed with one another than with other individuals in the larger population. They experience the same environment. So they face similar selection pressures. The individuals developmental stages, or gametes can move among the demes of a population Therefore, the demes are not completely isolated from each other. But these demes face relative isolation. Its members experience different selection pressures than u•her members of the population. So speciation can occur in them. Most evolutic lists theoretically agree that parapatric speciation is possible. But no certain cast.3 are known. 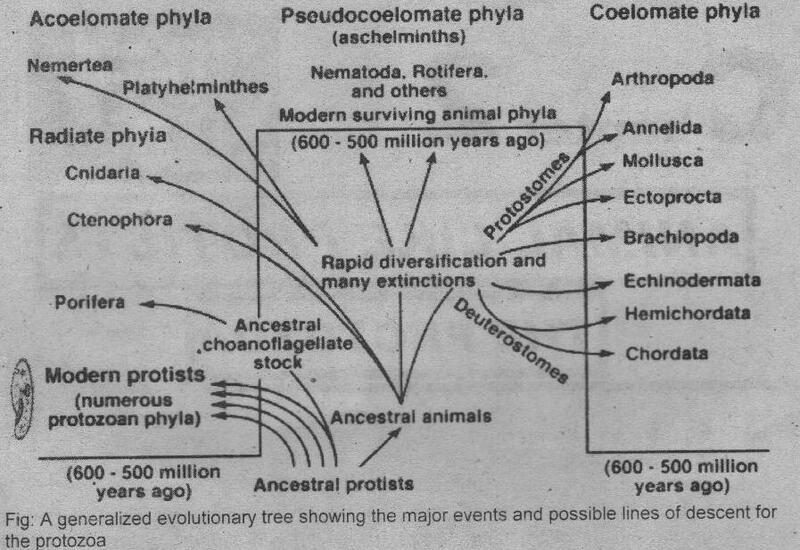 Therefore, parapatric speciation has less importance in the evolution of animal .groups than allopatric speciation. Speciation that occurs in populations that have overlapping ranges is called sympatric speciation. The sympatric organism may be reproductively isolated from one another.Many plant species develop multiple sets of chromosomes. These plant: can produce viable forms. It can produce sympatric species among groups in the same habitat. Sympatric speciation in animals is uncommon. It has been found in two species of bats and several species of insects and fish.